Injured in a Car Accident in Pennsylvania? Unfortunately, car accidents are one of the most common occurrences of daily life. According to the Association For Safe International Road Travel, “over 37,000 people die” in car wrecks each year in the United States, while “an additional 2.35 million are injured or disabled”. More often than not, injuries sustained in a car crash can usually be attributed to negligence by the other party involved. However, depending on the circumstances, negligence can be hard to prove when filing a personal injury lawsuit, making it that much more complicated. You are likely already overwhelmed with just being injured and probably feel a little lost as to how to proceed. A professional Philadelphia car accident lawyer can help you find your footing again and get your life back by fighting on your behalf. 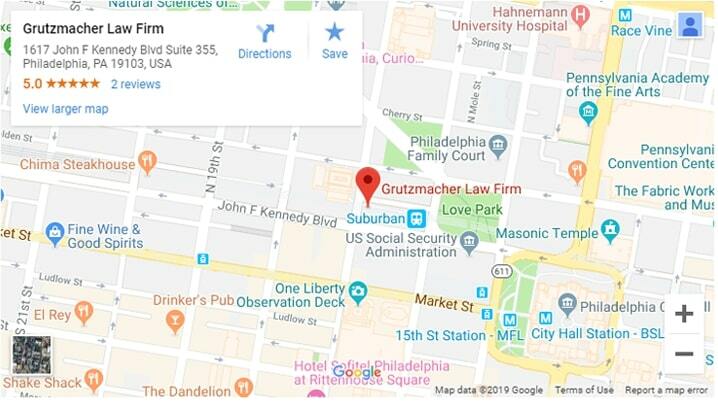 Philadelphia personal injury attorney, Adam Grutzmacher, is a family man who believes in social justice. He provides quality representation for each one of his clients not only because he genuinely cares about their best interests, but because he is also wholly invested in helping people. It is his end goal that every client walks out with peace of mind about their situation. He does everything in his power to achieve that goal by providing clients with a solid strategic plan for their cases and aggressively defends them and their rights during legal proceedings. Through utilizing his expansive skills and resources, he has successfully represented several clients since founding his personal injury law firm. What Damages Can I Claim in a Car Accident Lawsuit? Depending on the circumstances of your car crash, you may be able to receive compensation for multiple types of damages that you have suffered in the past, present and future. A Philadelphia car accident lawyer skilled in local and federal laws can help you determine what type of compensation you might be eligible to receive in your case. Medical bills. If you have suffered injuries in the car accident that required past, present and/or ongoing medical treatment, then you may be entitled to reimbursement. Be aware that these costs also include physical therapy and rehabilitation treatments. Medical costs are expensive and overwhelming — do not think you have to take on that mountainous pile of bills that likely seem to just keep accumulating. An experienced Philadelphia car accident attorney can help ensure that you are awarded the maximum amount of recovered damages for all incurred medical bills. Pain and suffering. Pain and suffering damages include injuries that are both physical and emotional. That means that if the victim has previously suffered, continues or will continue to suffer panic, anxiety or other form of emotional distress as a result of the accident — in addition to or separate from a physical injury — that this will be considered when determining awarded damages. Loss of property/property damage. If any of your personal property was damaged or destroyed as a result of the accident, then you (the plaintiff) may pursue compensation from the defendant for that property. Examples of personal property include but are not limited to your vehicle, phones or other electronics and other expensive valuables. Of course, there are other considerations taken into account (such as lost wages) by the court when determining awarded damages. 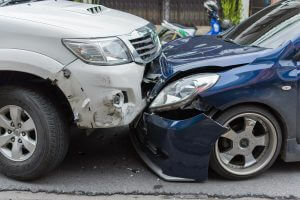 A local Philadelphia car accident lawyer knows the complicated local and federal laws regarding car accidents and can help ensure you receive maximum compensation for any and all damages suffered. What Should Steps Should I Take Immediately After Being in a Car Accident? If you find yourself in the midst of a car wreck, chances are the first feeling you will have is disorientation. The most important thing to do is stay calm, get your bearings and get away from the vehicle if you are able to — but do not leave the scene. You should always call 911, even if the accident is minor. Seek medical attention. If you or anyone else involved in the accident has sustained injuries that warrant medical attention, call 911. If you are able, provide preliminary first aid in the form of covering the injured person if it is cold (but be careful not to move them in case of back or spinal injury), performing CPR or other forms of first aid that you can provide if possible. Take multiple photographs. Take photos from multiple angles of both cars, any other relevant damage (light poles, guardrails etc), the surrounding area as well as any injuries sustained by you and/or your passenger(s). Obtain eyewitness testimony. If there are any witnesses, make sure you speak with them about what they saw, writing down their information so you can contact them later if they are needed to testify in court. Call your insurance company. After calling 911 and obtaining information from the other person, your insurance company is the next call you need to make. However, simply inform your insurer that an accident occurred – you do not have to make an official statement yet. Call a Philadelphia car accident lawyer. An attorney can guide you through the rest of the claims process and help protect your best interests. The more evidence you can obtain immediately after an accident, the stronger your initial case will be. However, our car accident attorney is skilled in obtaining evidence — such as police reports, insurance information and camera footage from traffic lights — from all parties involved. Regardless of the situation, we can obtain what information is necessary to build the strongest case possible. There can be nothing more stressful and disruptive to one’s life than being injured in a car wreck. You are likely dealing with stressors coming at you from multiple angles involving medical treatments, child care and lost wages. Know that if you are an injured victim of a car accident caused by someone else’s negligence that there are people are on your side who will fight for you. Adam Grutzmacher has a passion for personal injury law and has been practicing for over a decade. He is a Philadelphia car accident lawyer who is no stranger to the chaos and destruction that car crash injuries can wreak on a person and their family. Over years of painstakingly improving his skills, building his knowledge and representing each of his clients with equal passion, Adam has made a career out of helping injured victims receive the compensation they deserve for the ordeal they have been put through. Contact our law firm today for a free initial consultation to learn how we can help you, too.